The tale of two troubled young boys struggling to cope after their parent’s divorce. The four main actors give the best ensemble performance of the century. The character development is key here: After the divorce is announced, each character starts to go down on the downwards spiral. The youngest is affected possibly the worst; masturbating in school, drinking his parents’ alcohol, trying on condoms, etc., but everyone else goes through their own personal struggles, sound tracked by a great Pink Floyd song. This movie is never what you will expect it to be, and deserves to be seen. Biopic about the life of government employee turned underground comic strip genius Harvey Pekar, played by Paul Giamati. Every aspect about the movie, especially if you’re a fan of Pekar’s work, is phenomenal. The acting for one thing is amazing, especially when comes Paul Giamati’s 5-minute monologue based off of an original comic by Pekar. Every other actor does great too, because Harvey Pekar himself said that everything was as close to his life as possible. 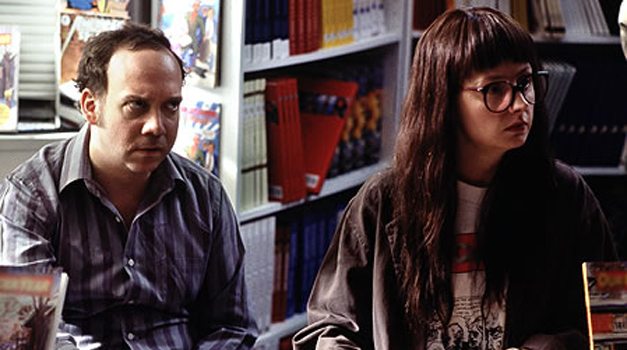 American Splendor deserves to be seen by anyone, and kudos if you read his work too. It’s fantastic.